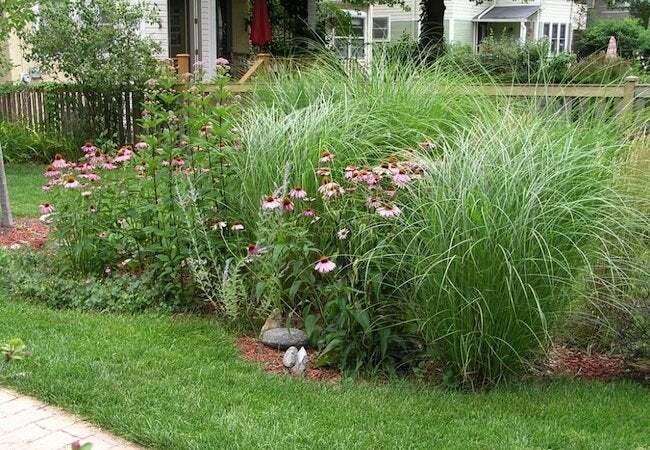 Bob Vila Radio: What Is a Rain Garden? Expressly designed to capture rain before it enters the local sewer system, rain gardens are a smart, attractive, and environmentally responsible means of managing stormwater runoff. Rain gardens are essentially natural or man-made depressions on the property, which the homeowner fills with a variety of hardy plants that don’t need a lot of painstaking care. Not only does a rain garden add an extra layer of visual interest to the landscape, but it also helps the environment. Instead of rainwater gushing down storm drains and flowing, unfiltered, into nearby lakes and streams, rain gardens collect the run-off from roofs, driveways, and walkways, slowly absorbing and naturally filtering the water through the roots and soil. Most rain gardens include gravel to aid in the absorption process. And since they’re more tolerant to local soil and moisture conditions, native plants are normally chosen. For help selecting suitable plants, ask around at your garden supply store or extension office.